© 2019 Calder Foundation, New York / VEGAP, Madrid. Calder-Picasso will be the first exhibition in Spain to explore the creative connections between two 20th-century modern masters: American artist Alexander Calder (1898-1976) and Málaga-born Pablo Picasso (1881-1973). 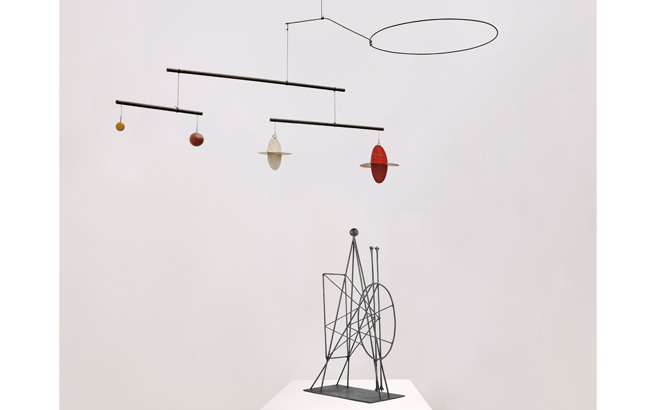 While the dialogue between Calder and Picasso is filled with endless possibilities, a vital connection can be found in their exploration and exploitation of the void, or the absence of space, which both artists delineated from the figure through to abstraction. 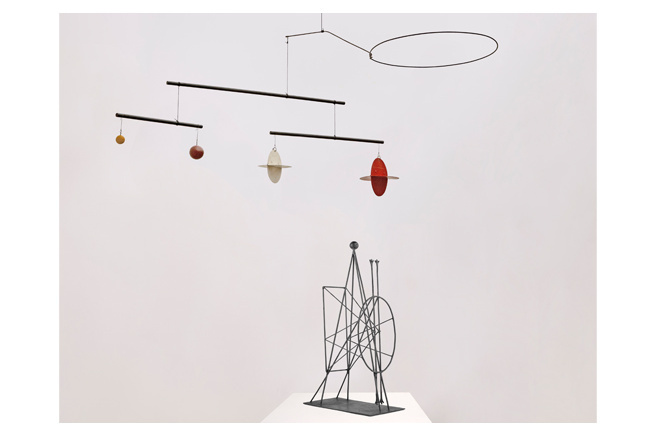 Calder and Picasso each dealt with the attributes of presenting or representing nonspace, whether by giving definition to a subtraction of mass, as in Calder’s sculpture, or by expressing contortions of time, as in Picasso’s portraits. Calder externalized the void through curiosity and intellectual expansion, engaging unseen forces in ways that challenge dimensional limitations, or what he called “grandeur immense.” Picasso personalized the exploration, focusing on the emotional inner self: bringing himself inside of each character and collapsing the interpersonal space between author and subject. 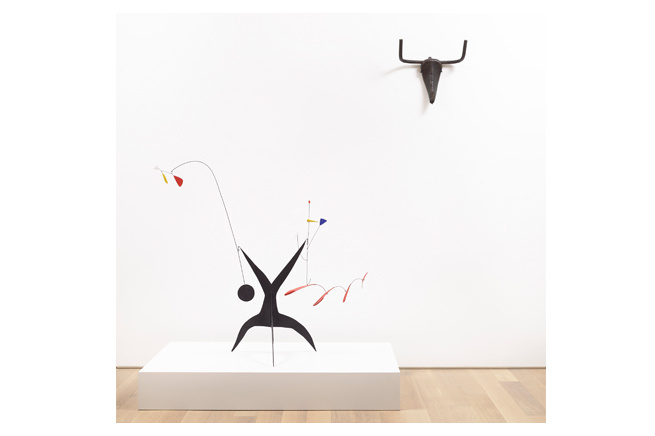 The exhibition Calder-Picasso is organized in partnership with the Calder Foundation, New York and the Fundación Almine y Bernard Ruiz-Picasso para el Arte (FABA). It is a coproduction with the Musée national Picasso-Paris where it will be shown from February 19 to August 25, 2019. Jointly curated by Alexander S. C. Rower, Calder Foundation, New York; Bernard Ruiz-Picasso, FABA; Claire Garnier and Emilia Philippot, Musée national Picasso-Paris, in the Museo Picasso Málaga it will showcase around 110 artworks.